We live in the multi-dimensional and interdependent world. Therefore, it is difficult to understand the world from the standpoint of certain science. Only mutual creative efforts of specialists of various social sciences allow us to comprehend contradictions of the present and to determine prospects of social development. Nowadays, representatives of economic science are significantly interested in research of law as one of the most powerful institutions of economic activity. Lawyers more and more refer to economic theory as a method of research of legal relations. 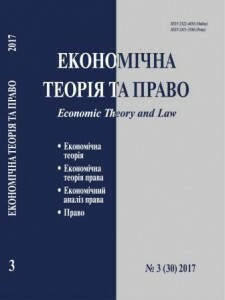 The Collection of Scientific Papers “Economic Theory and Law” is based on a new scientific concept, which exceeds the bounds of contemporary paradigms of economic and legal scientific thought. It consists in understanding of interrelated and interdependent development of economics and law and its synergetic influence on social relations in Ukraine and in the world. The economic theory of law becomes the new methodological construction of economic and legal studies of social phenomena and processes. It is based on categories of the economic and legal sciences, encompasses methods, principles, and approaches of their scientific analysis. 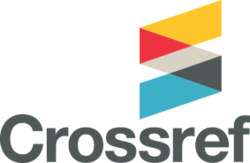 Researches have considerable theoretical and applied perspectives under these conceptual frameworks. In the context of the proposed scientific conception, authors of articles being specialists in various areas of economics and law will search for truth together with readers. Each author may find own direction of research and propose own approach. This principle conduces to formation of new economic and legal knowledge as well as their dissemination and implementation in the social practice. The mentioned statements are a purpose of the Collection of Scientific Papers “Economic Theory and Law”.